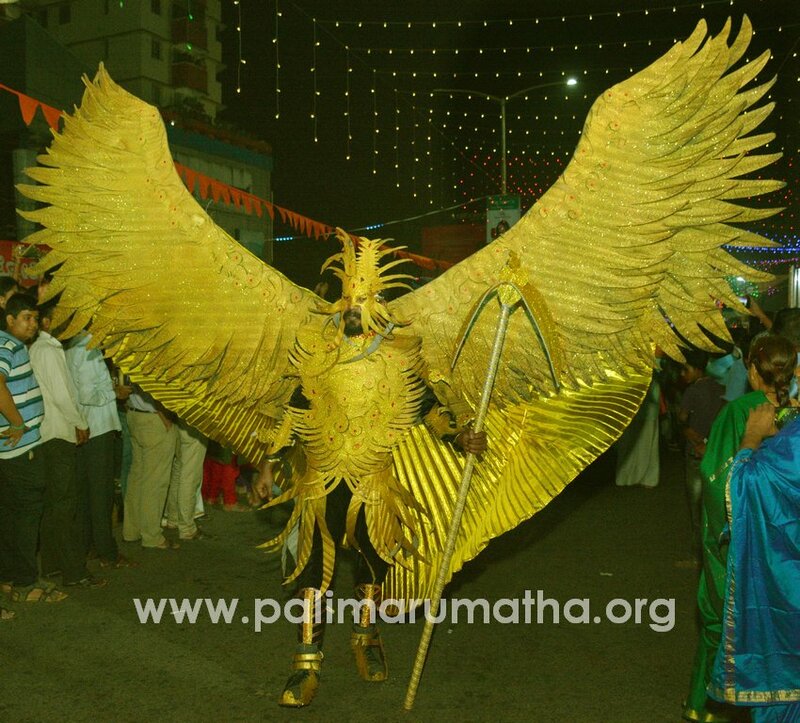 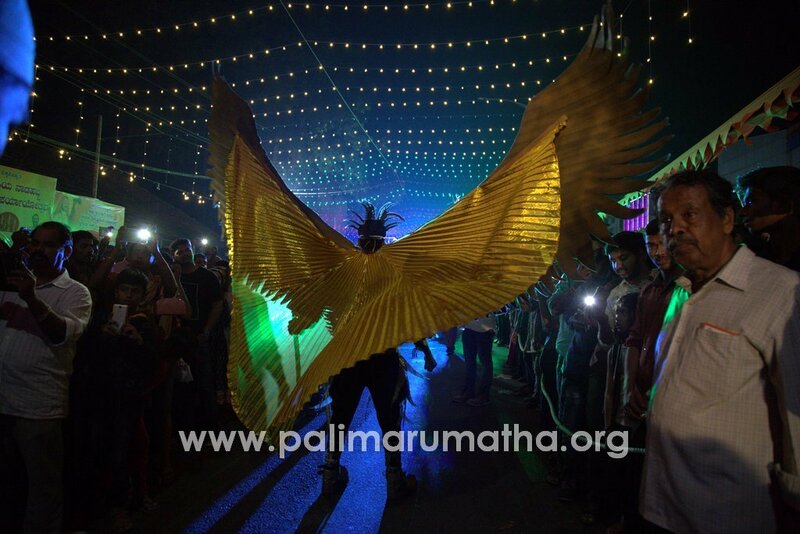 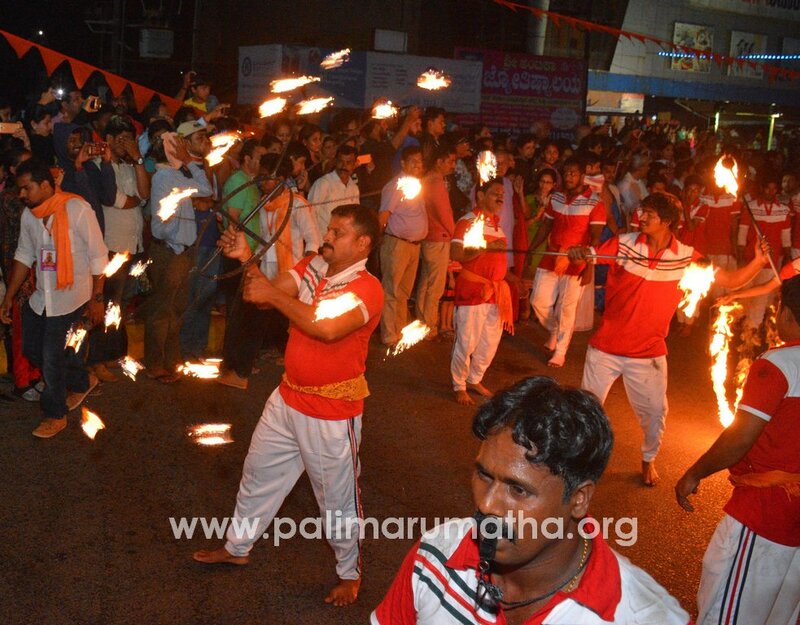 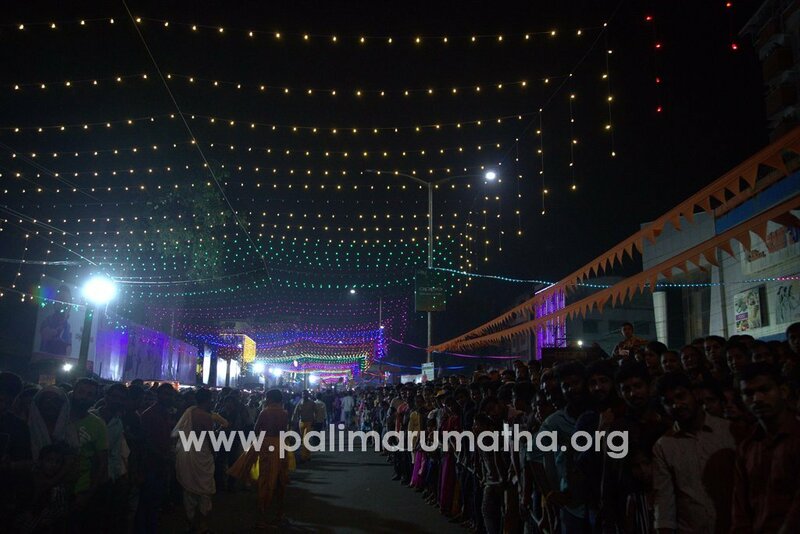 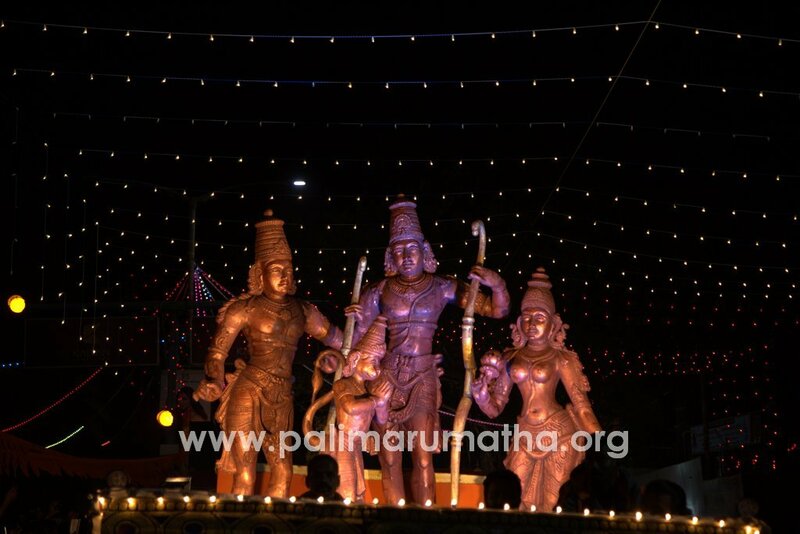 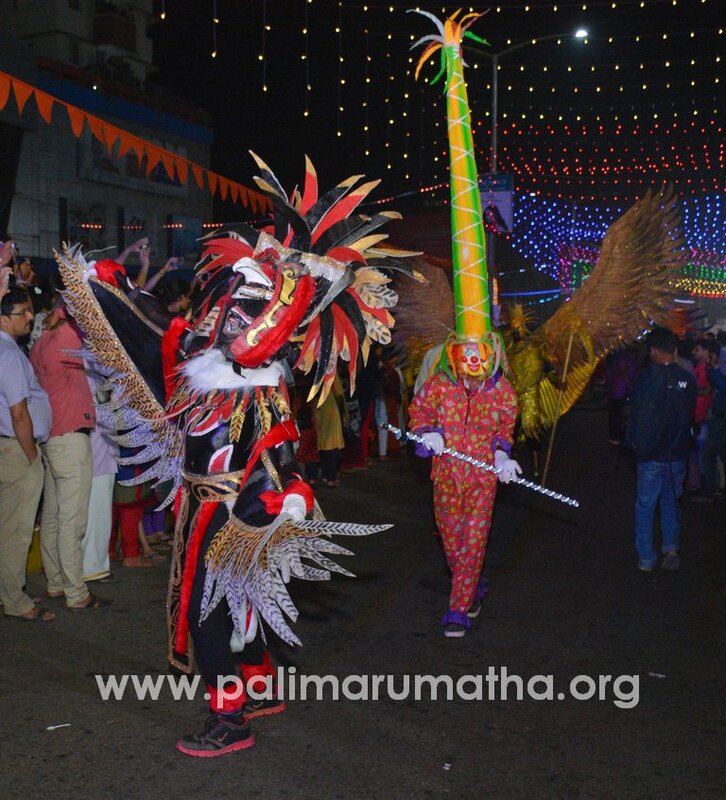 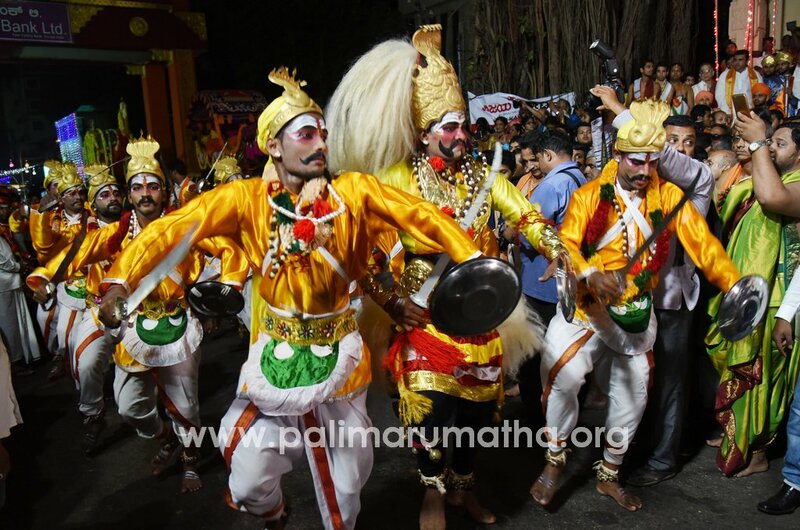 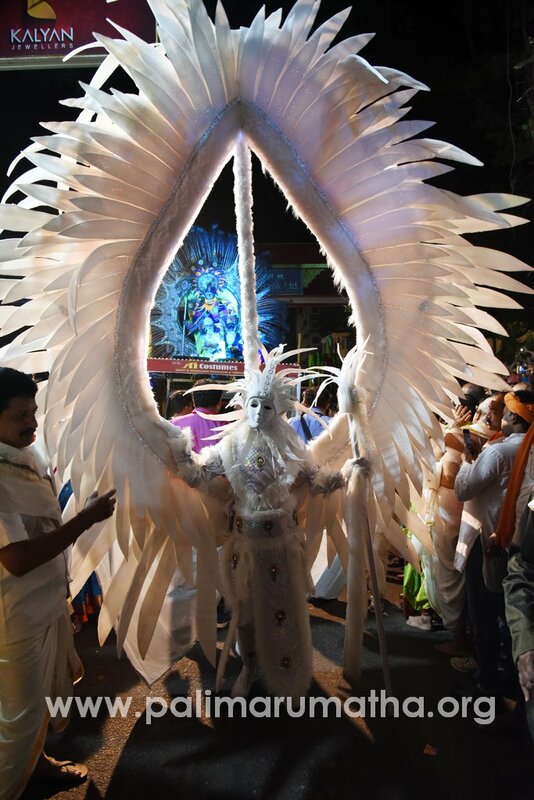 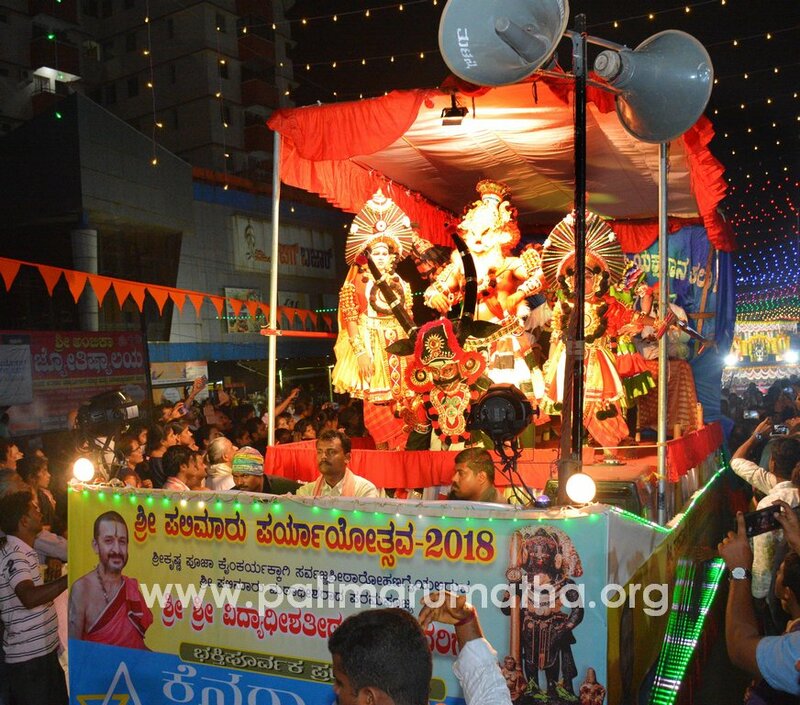 Udupi, a town of festivals, witnessed yet another historical exuberance. 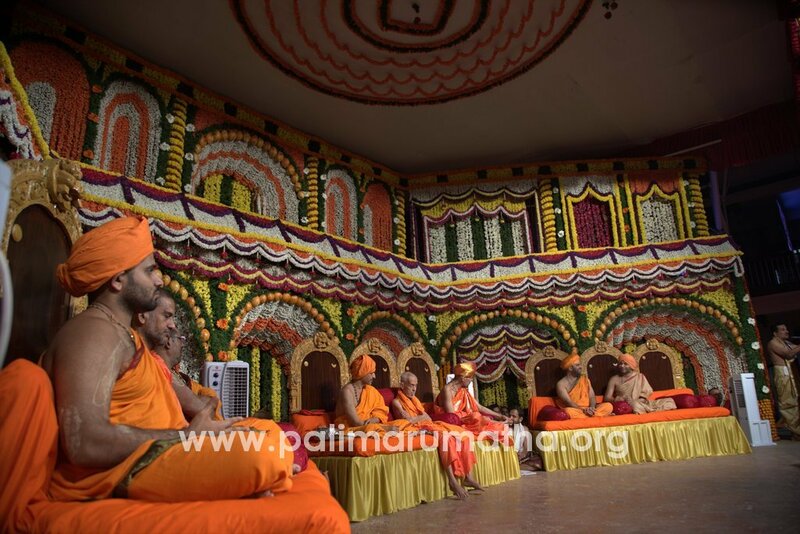 The 31st cycle of the two year paryaya tenure as devised by His Holiness Vadiraja Teertha concluded and the 32nd cycle began today with His Holiness Vidyadeesha Teertha accepting paryaya deekshe. 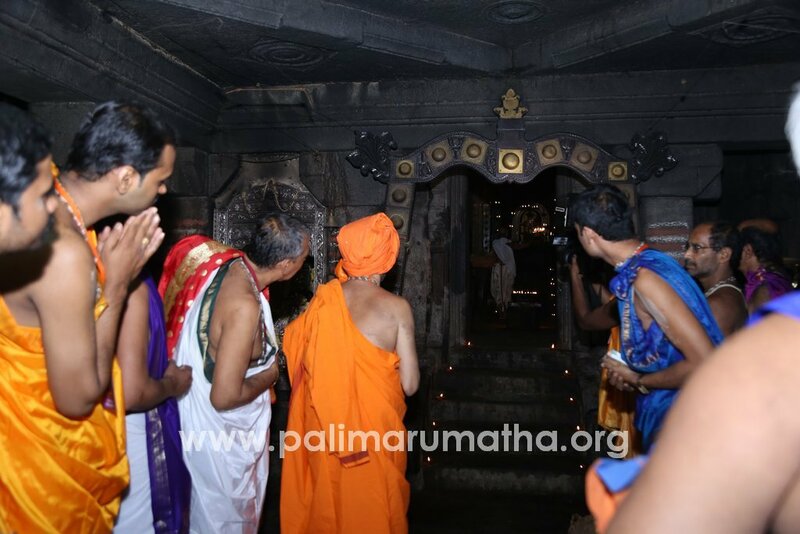 His Holiness paid obeisance to Lord Vedavyasa and Lord Mukhyaprana at Palimaru during the first yama of the day. 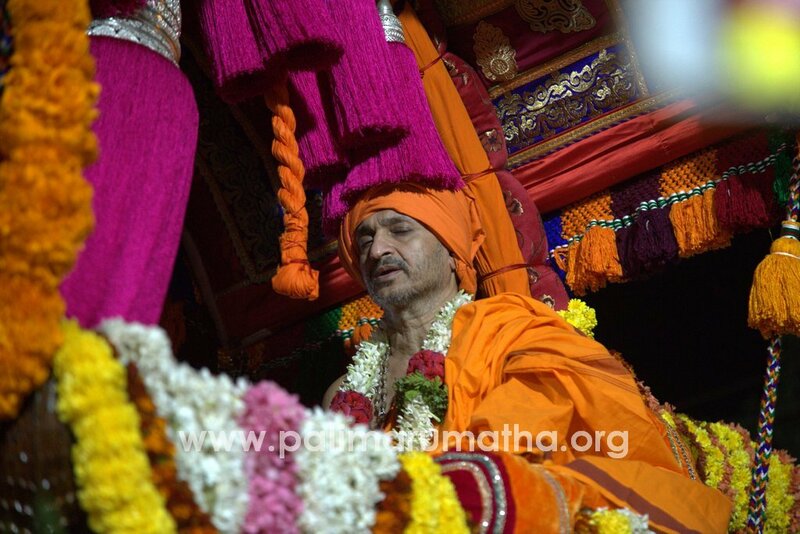 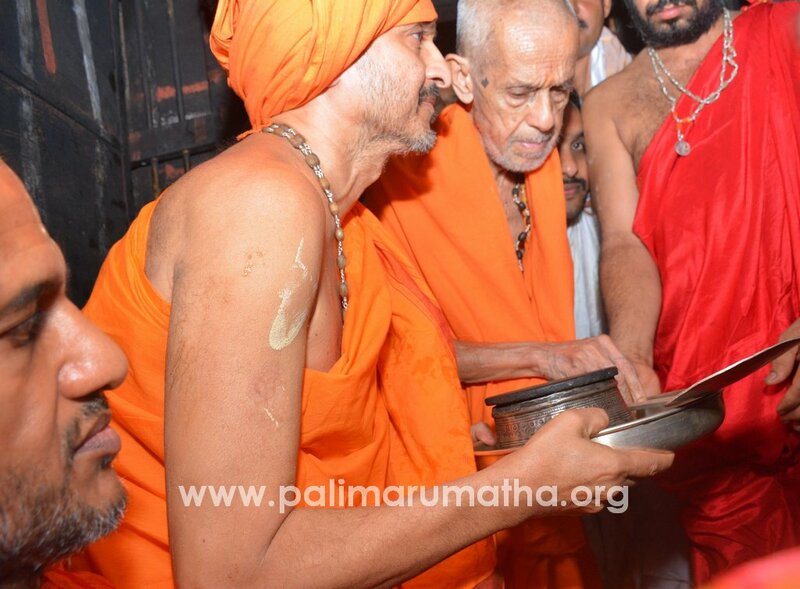 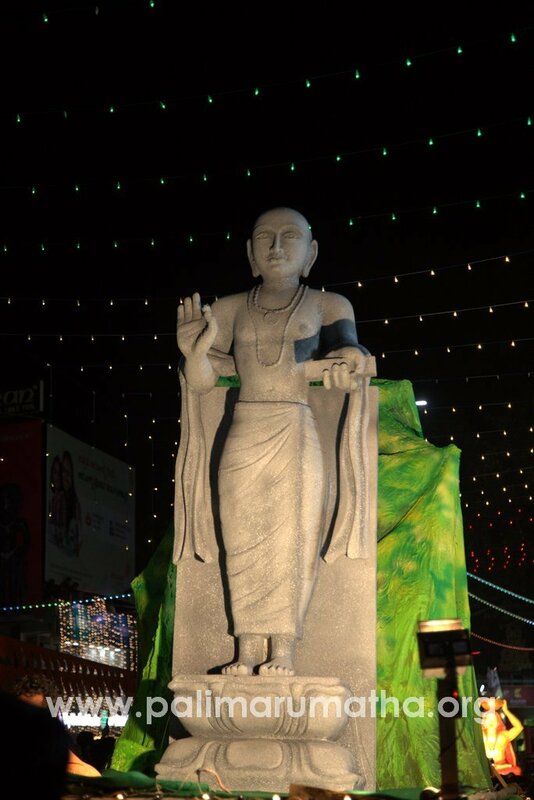 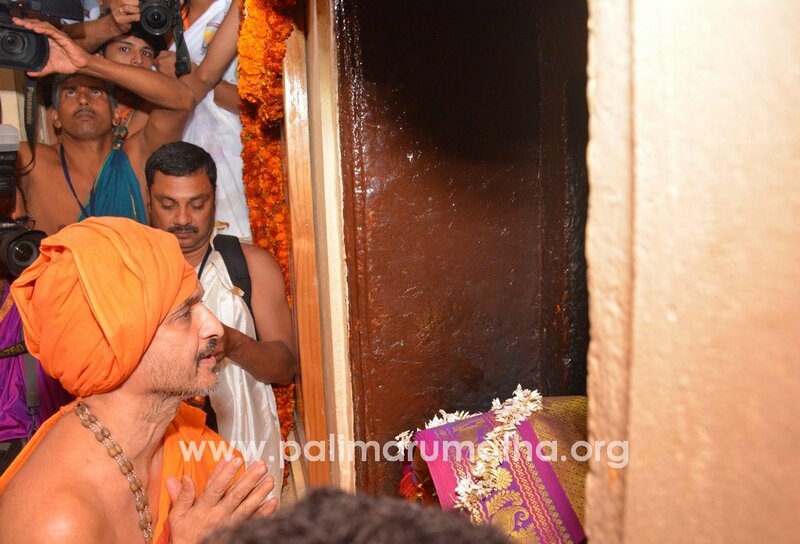 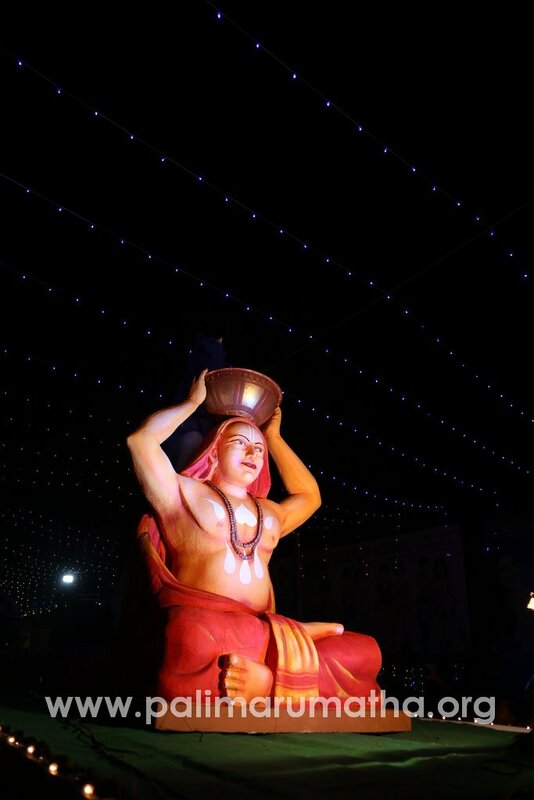 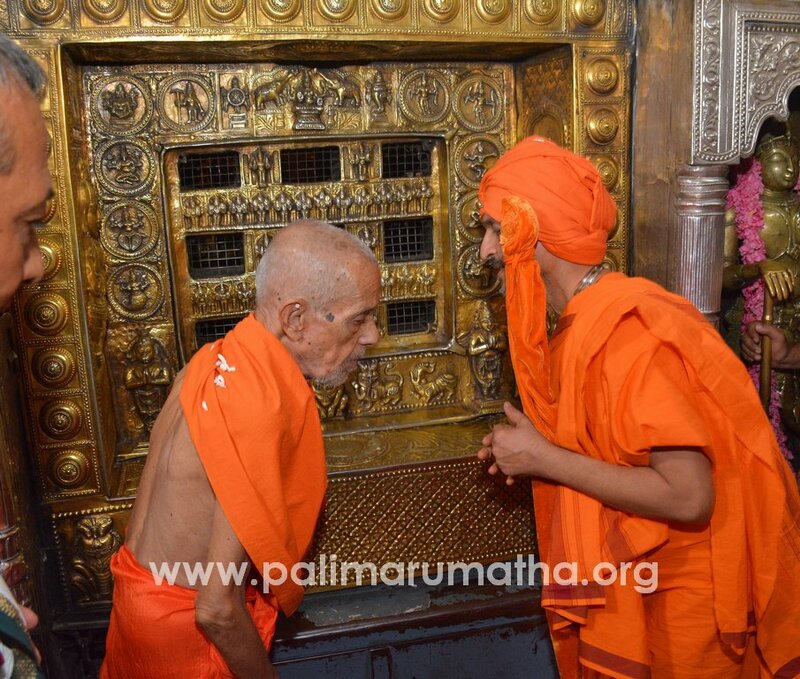 At 2:10 a.m. he visited Danda Teertha near Udupi and performed ablutions. 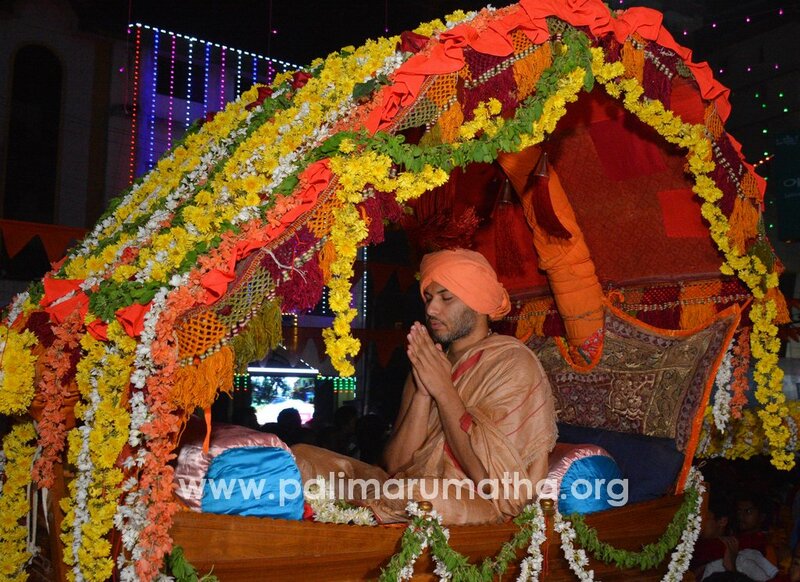 Thousands of devotees had assembled at Jodukatte in Udupi to welcome His Holiness. 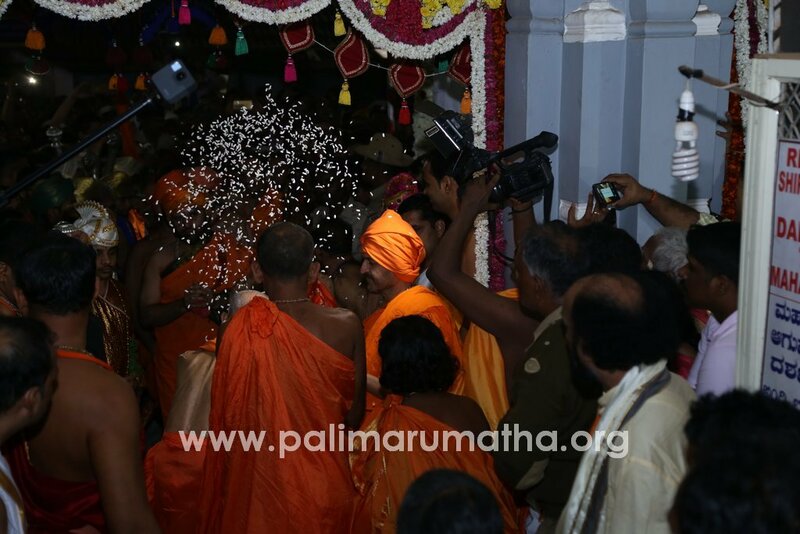 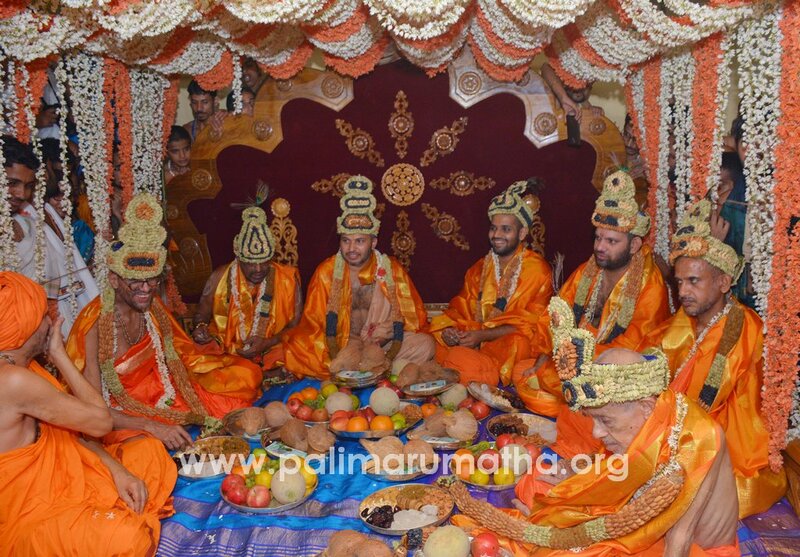 His Holiness offered worship to deities of the Matha and proceeded in a procession. 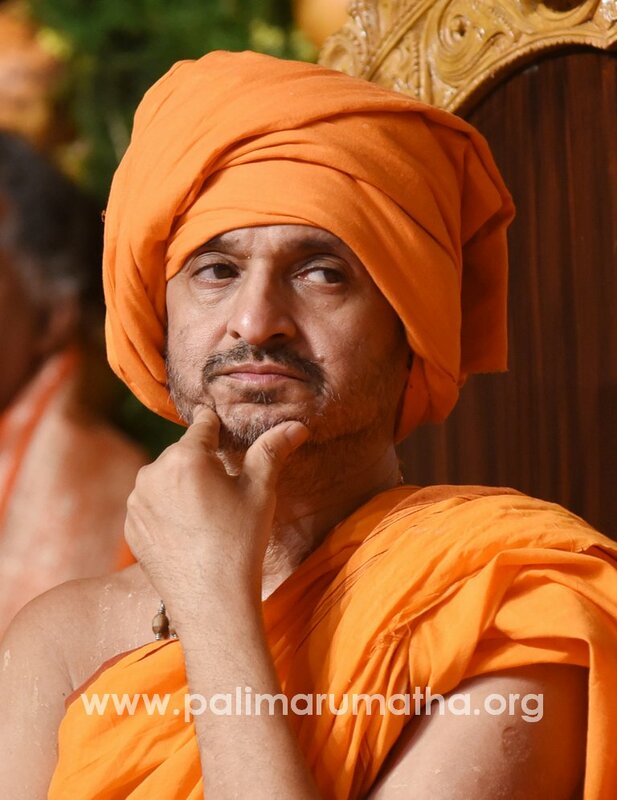 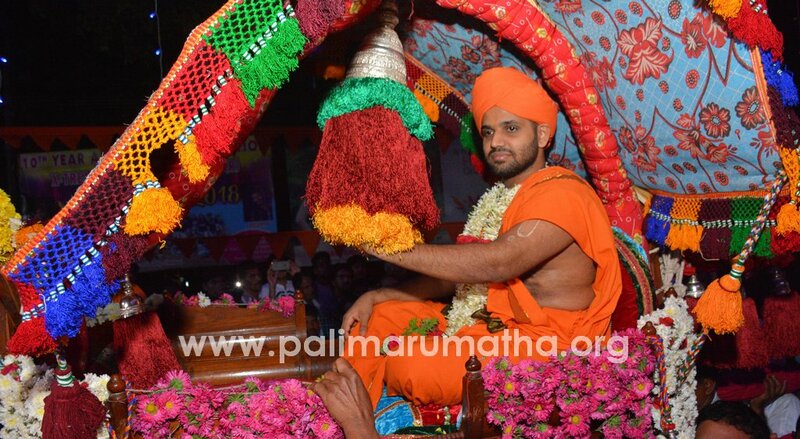 Accompanying him in the procession were His Holiness Vidyasagara Teertha of Shri Krishnapura Matha, the junior seer of Shri Pejavara Matha His Holiness Vishwaprasanna Teertha, the pontiff of Shri Shirooru Matha His Holiness Lakshmivara Teertha, the pontiff of Shri Kaniyooru Matha His Holiness Vidyavallabha Teertha, His Holiness Vishwavallabha Teertha of Shri Sode Matha and the junior seer of Shri Adamaru Matha His Holiness Shri Eeshapriya Teertha. 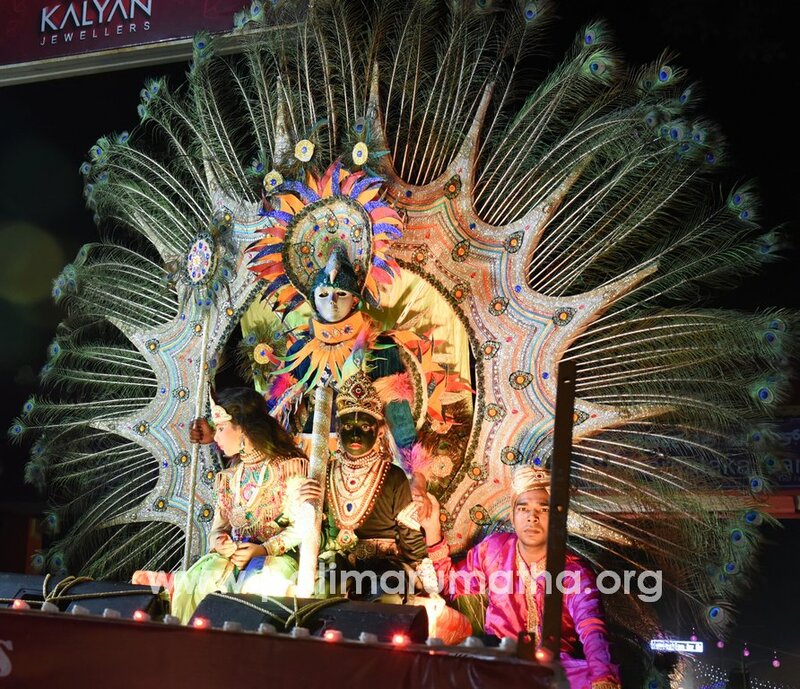 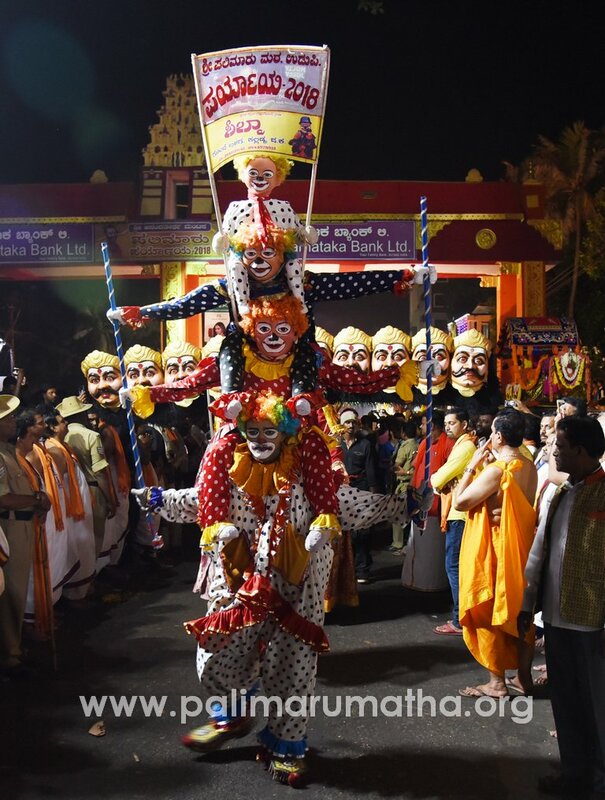 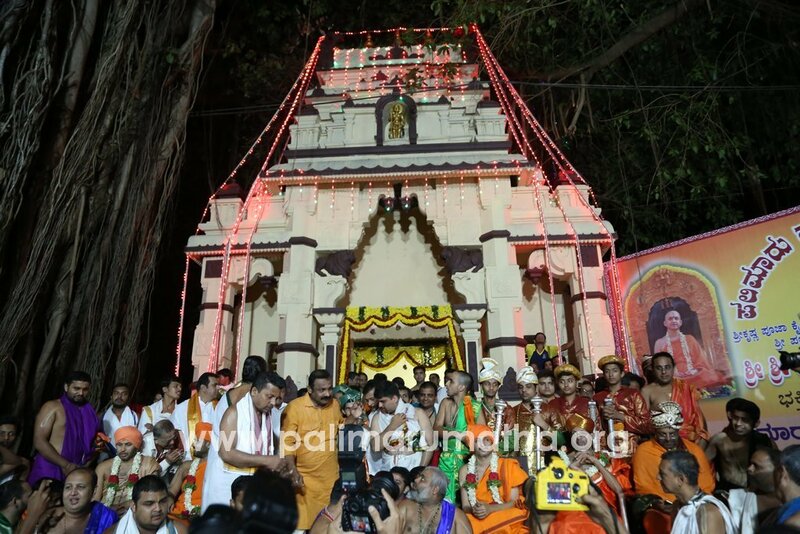 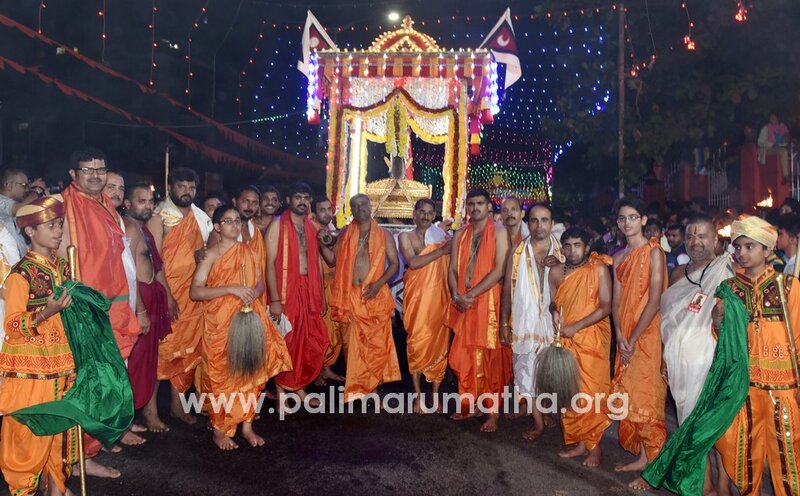 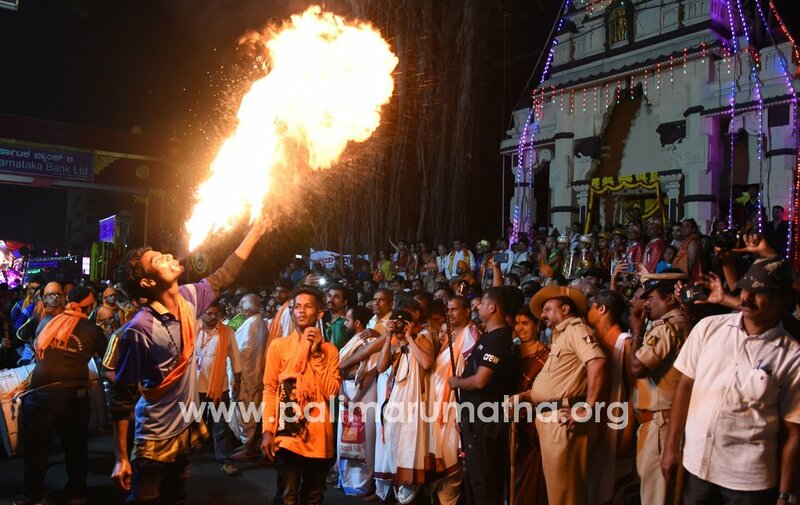 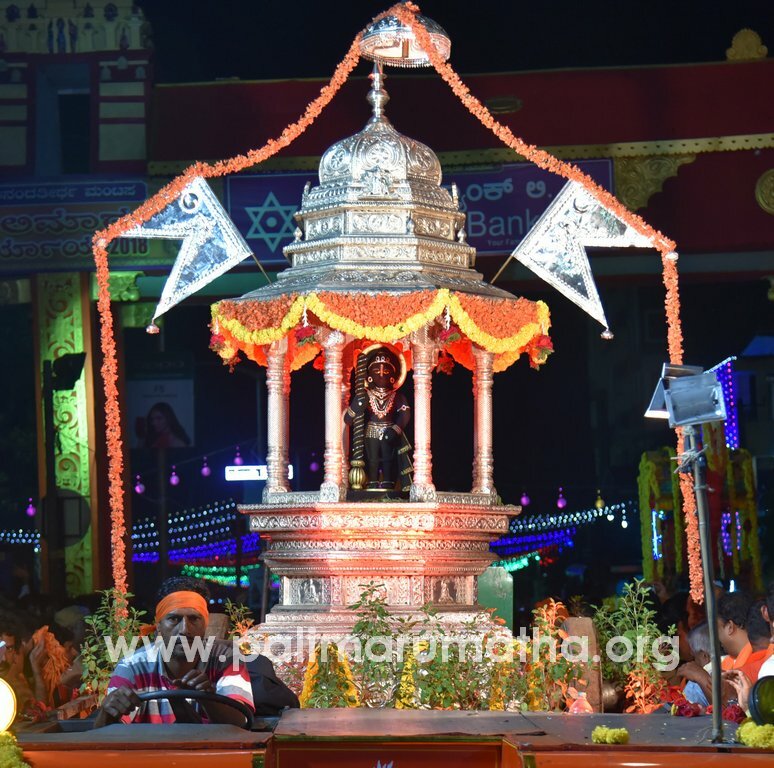 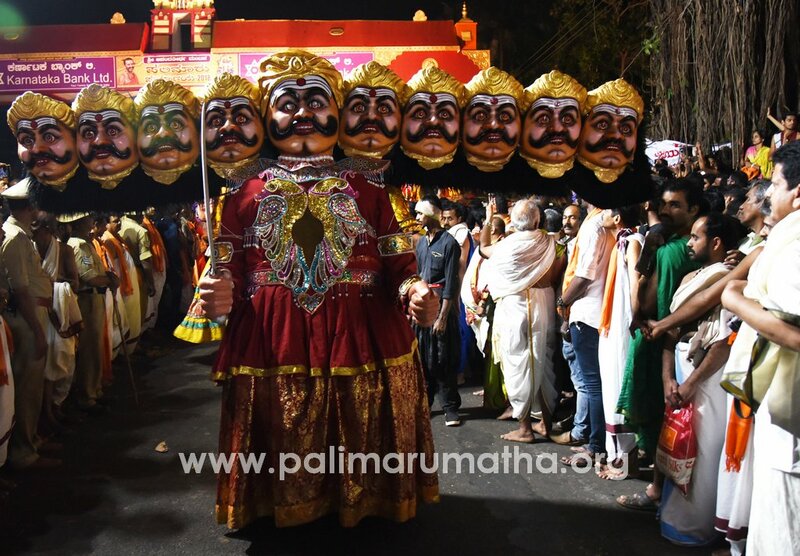 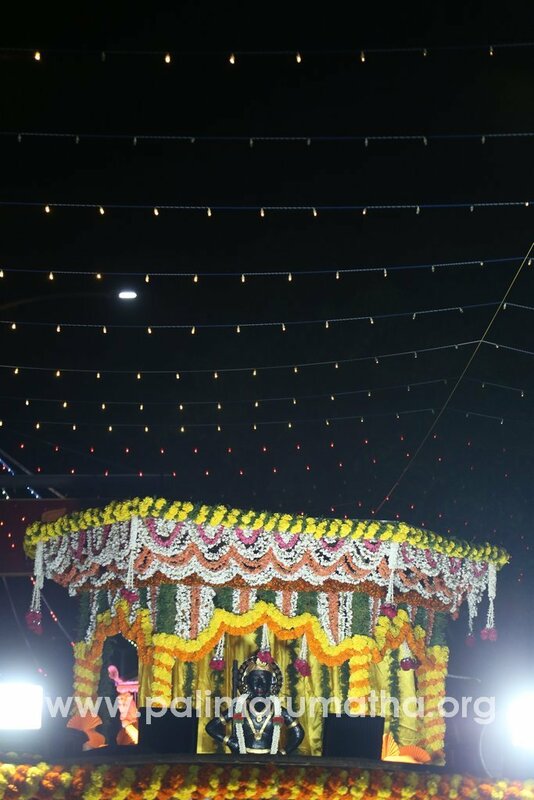 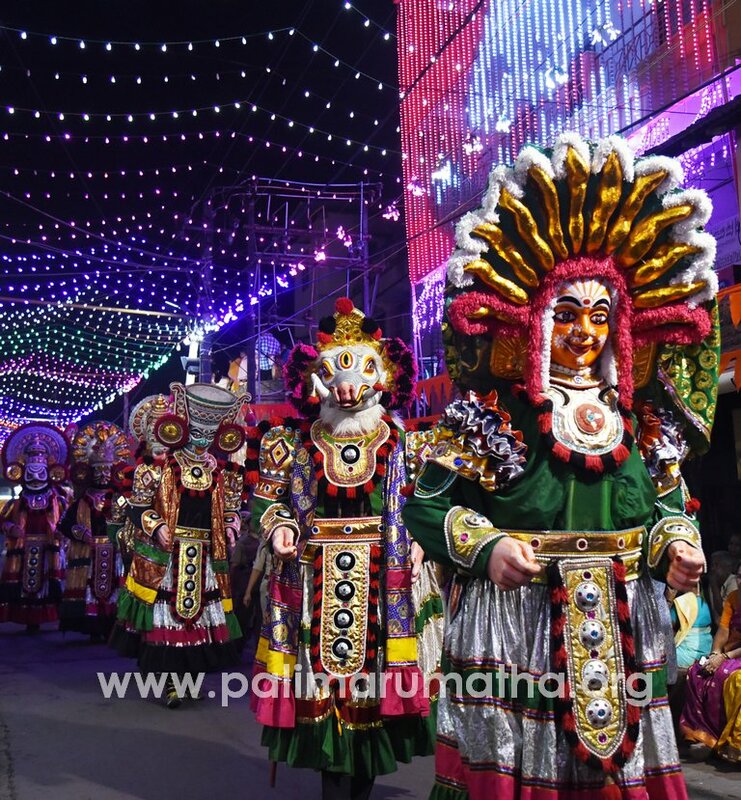 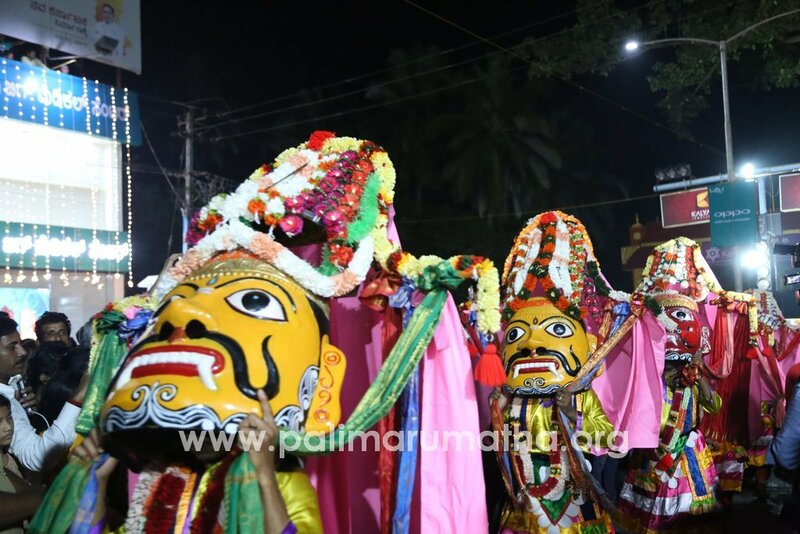 This procession that spanned about two kilometers included tableaus of Shri Madhvacharya, Shri Vadiraja, Shri Vidyamanya and many other that enraptured everyone. 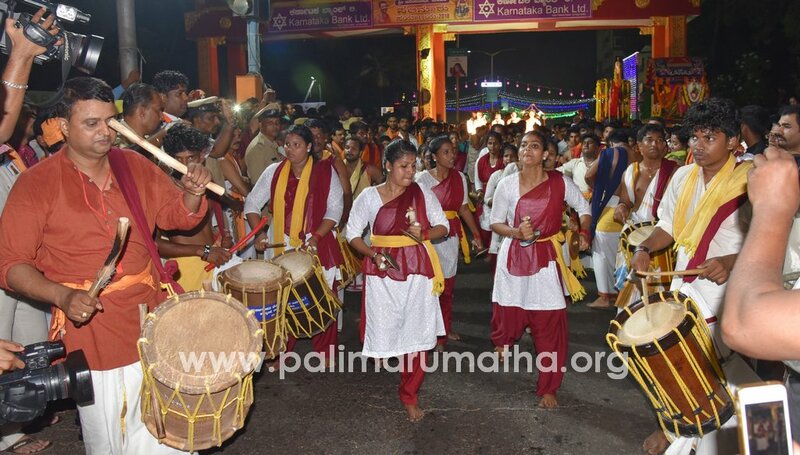 Chende, kombu, nadaswara, navilu, keelubombe, marakaalu huli, colourful chatri nritya and several other musical troupes added to the jubilation. 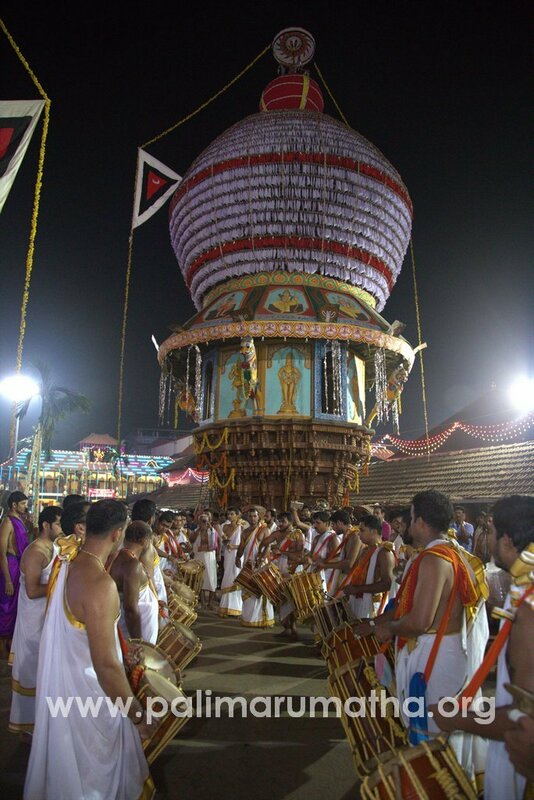 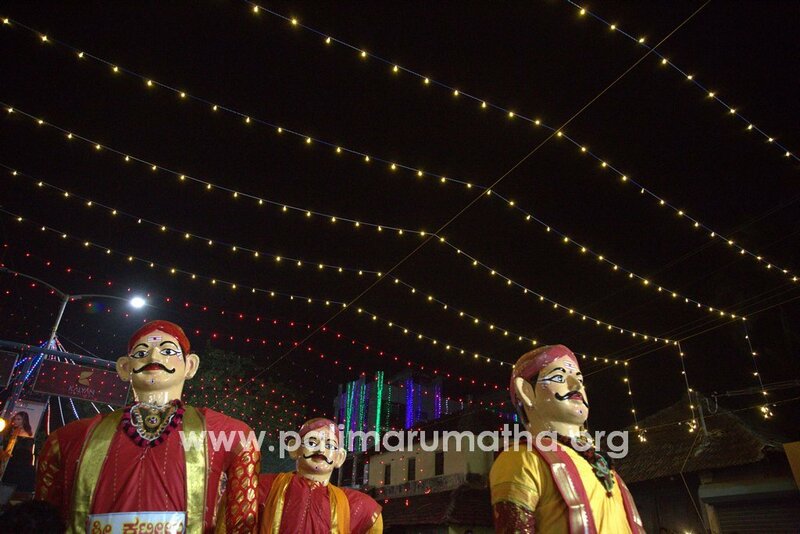 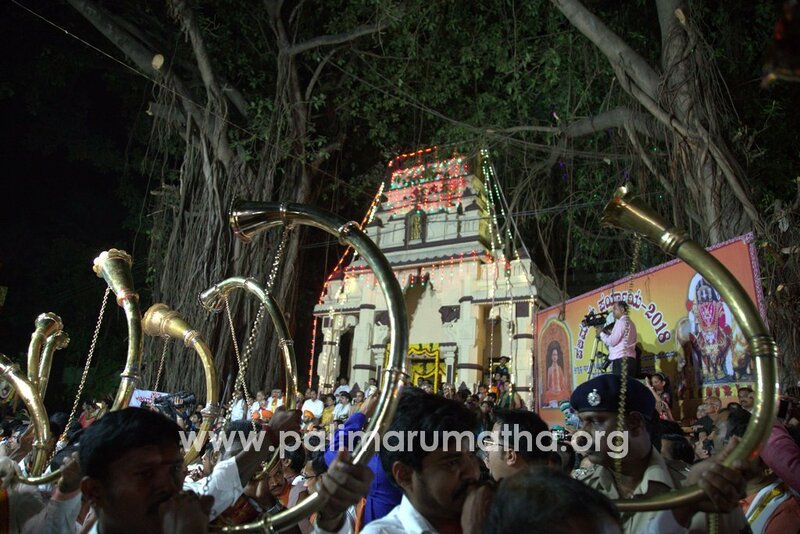 The procession entered into the Rathabeedi through Udupi’s Kanakadasa Marga. 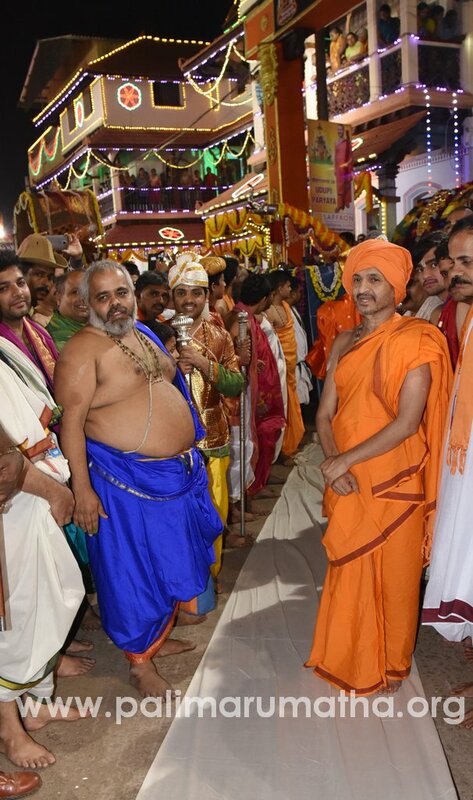 His Holiness paid obeisance to Lord Krishna through the Kanakana kindi and performed all the traditional rituals. 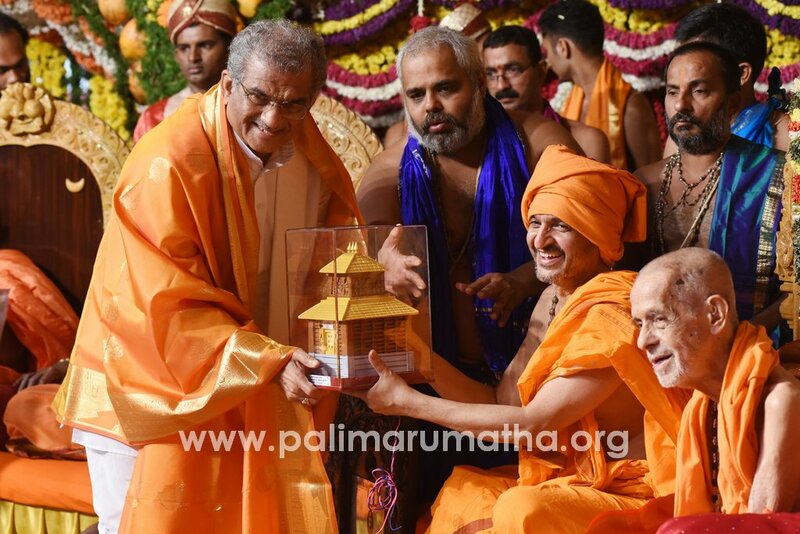 At this time, His Holiness inaugurated the akhanda bhajana program by lighting a lamp in front of Kanakana kindi. 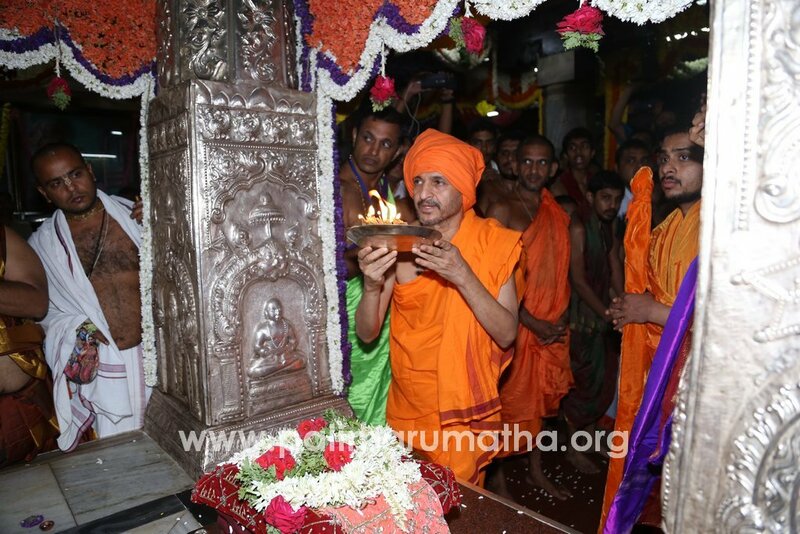 Thereafter, having paid obeisance to Shri Ananteshwara and Shri Chandramouleshwara His Holiness entered Shri Krishna Matha. 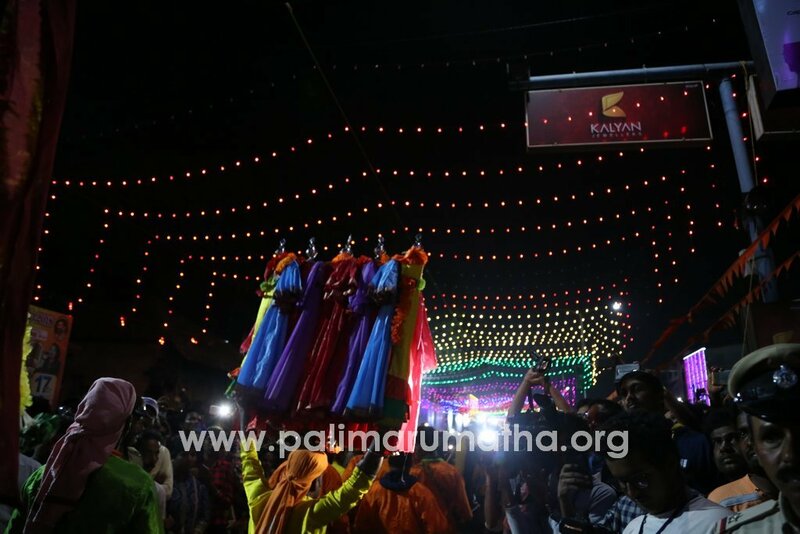 The incoming paryaya peetadhipati extended traditional hospitalities to the seers of the Ashta Mathas at Aralugaddige. 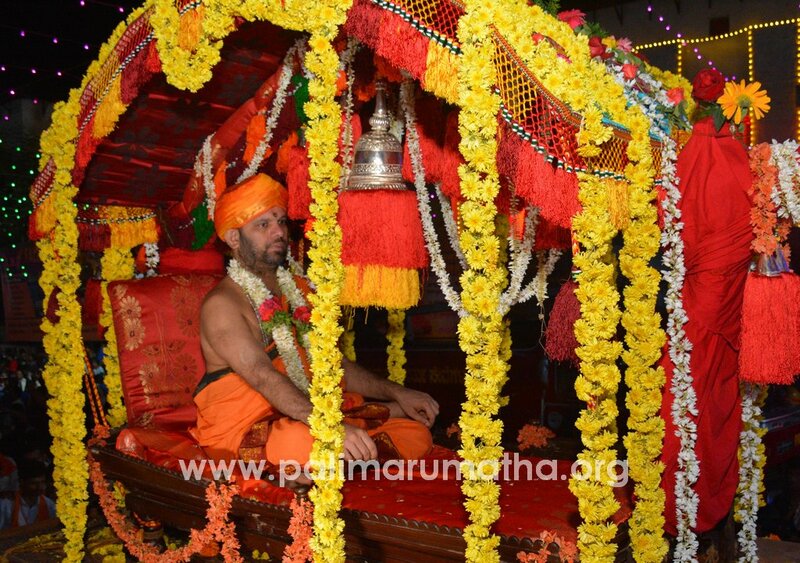 The paryaya darbar began at 7:20 a.m. A magnificent dais was erected for this purpose. 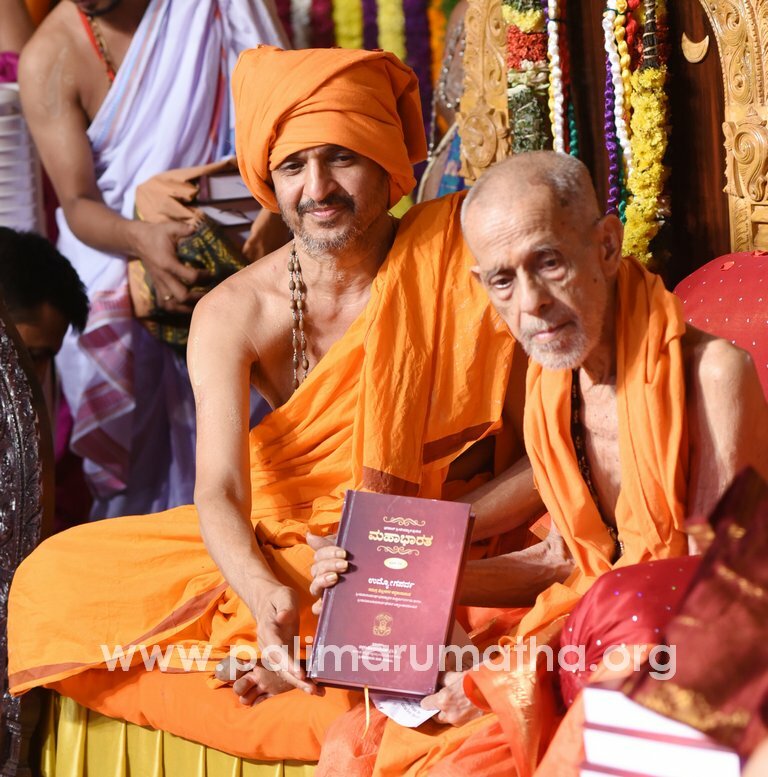 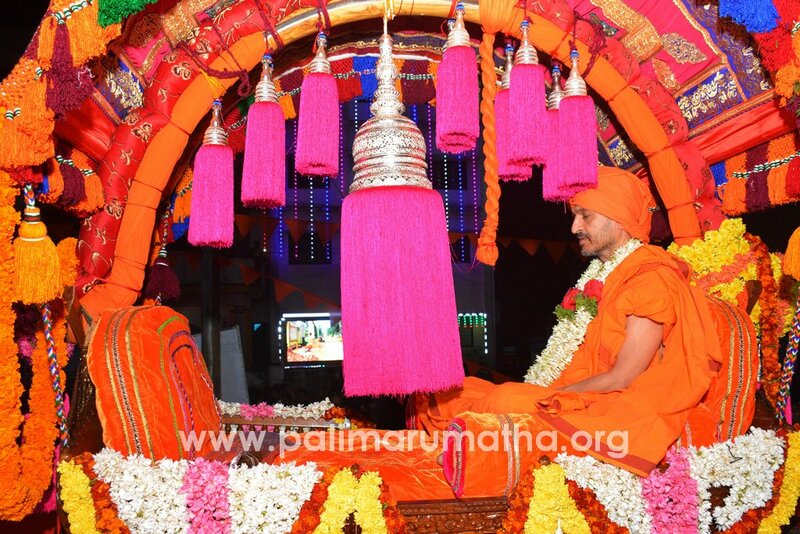 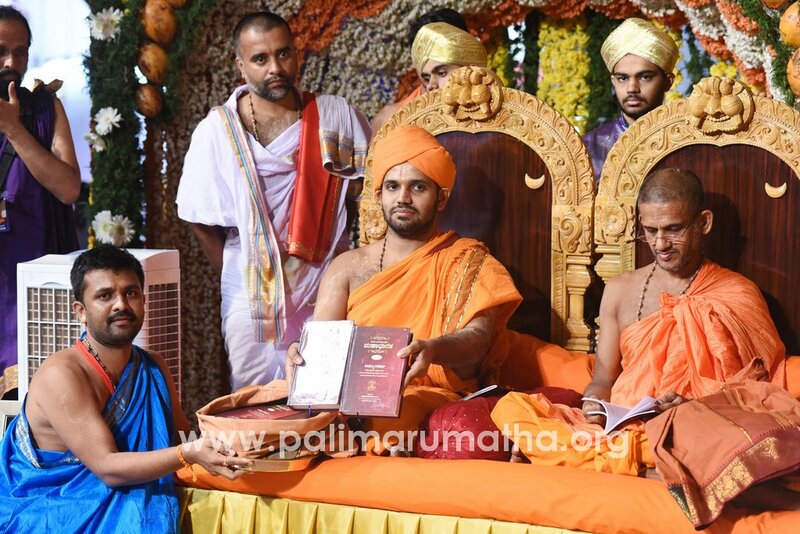 During this occasion, commemorating the 80th vardhanti of His Holiness Vishwesha Teertha of Pejavara Matha, His Holiness of Palimaru conferred him with the title “Yatikula Chakravarti” and felicitated him. 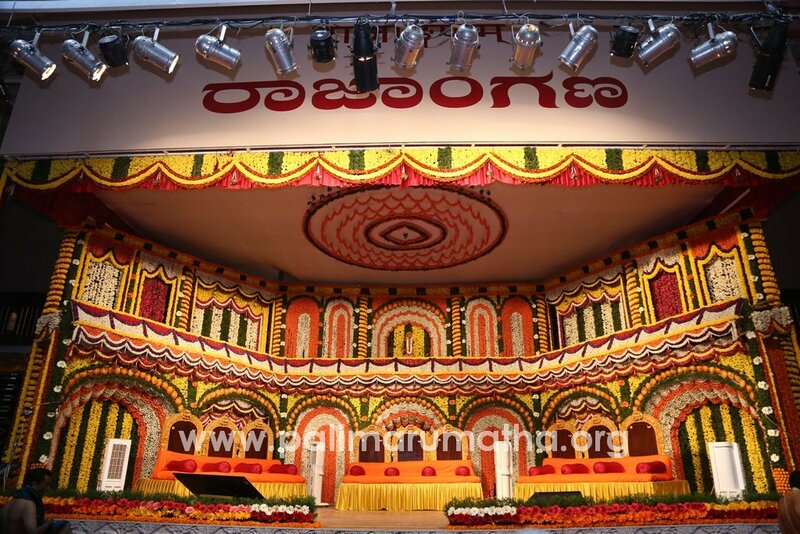 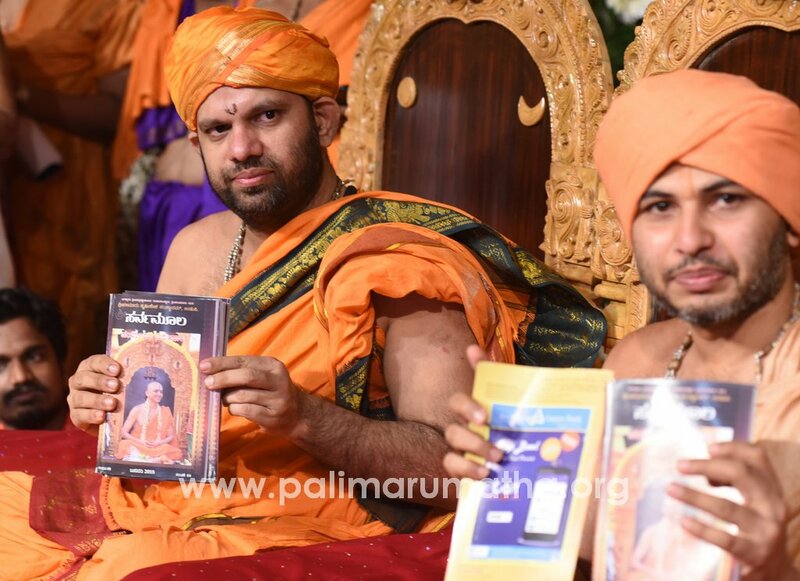 Publications of Tattwa Samshodhana Samsat such as Mahabharata, Vishnusahasranama, Mangalashtaka composed by His Holiness Rajarajeshwara Teertha and a special edition of Sarvamoola monthly magazine were released on the stage.